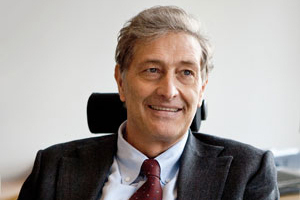 At a press briefing held Dec. 10, 2015, the European Medicines Agency’s (EMA) new Executive Director, Guido Rasi, presented is five-year vision for the agency. Rasi, who took office on Nov. 16, 2015, addressed globalization of the drug market and pressures on healthcare systems. "I am confident that EMA, working closely with the national competent authorities in Member States, is ready to successfully address these new challenges," he stated. Among the director’s goals for the agency was a focus on R&D to address healthcare needs, a commitment to transparency, a directive to increase patient involvement, a dedication to use all available safety and efficacy data, and a reinforcement of the agency’s commitment to working as a “global reference authority”. Rasi stressed the importance of working with Member States, the European Commission, and other European and international partners in order to achieve these goals.